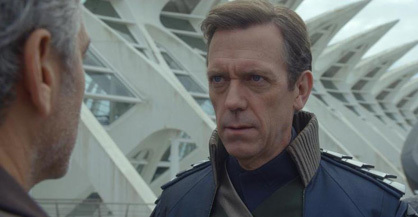 Kim Hollis: Tomorrowland, which opened over Memorial Day weekend with a four-day total of $42.7 million, has a running total of $63.7 million. What do you think of its performance to date? Edwin Davies: I've compared it to the performance of John Carter, a previous big budget adaptation of questionable material from Disney, and while it probably won't be as big of a bomb as that one was - it cost less and is on track to earn a bit more - it's still in the same ballpark. In terms of why the film hasn't performed particularly well, I think that's largely due to the marketing failing to get across why it's interesting. I didn't particularly care for the film, but there's a lot of spectacle and heart to it that should have been front and center in the trailers, but the ads never managed to sell what the story was (a problem caused by the film itself, since it withholds explanations of what is going on until the last 20 minutes or so) and the ads never managed to recapture the excitement of the first Super Bowl spot. Felix Quinonez: I really want to but can't find a way to put a positive spin on this performance. When you consider the amount of Hype Tomorrowland had and its huge budget, this just isn't enough. I would (generously) label this a definite disappointment. But wouldn't argue with someone who called it an outright flop.